Kentucky notched their ninth straight win Tuesday night when they took down South Carolina at home by a score of 76 to 48. South Carolina came in with an 11-10 record with a 6-2 record in SEC play. Kentucky was sitting at fifth in the country with an 18-3 overall record and a 7-1 mark in SEC play. The first half was a slugfest for both teams. Neither team could get into a rhythm, partially because of 19 total fouls in the first half, but the Cats kept it close by dominating the glass 24-12 including 10 offensive rebounds. Kentucky ended the half on a 17-4 run capped off by a dunk from freshman forward EJ Montgomery as the buzzer sounded to give the Cats a 39-28 lead at the half. 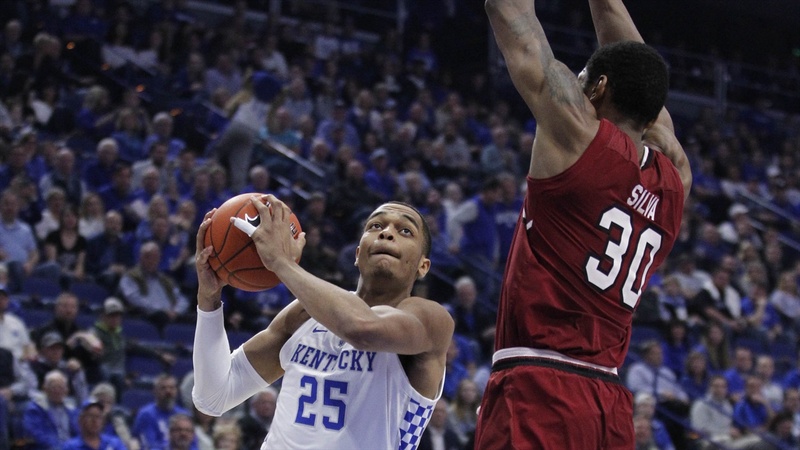 Sophomore forward PJ Washington led all Cats at the half with 11 points. Freshman guard Ashton Hagans had three steals but also coughed up six turnovers. The Cats blew the game open in the second half, locking down on defense and taking a commanding 62-38 lead with just under seven minutes to go in the game. The Cats closed the game out and won 76-48. Washington continued his tear through SEC play, finishing with 20 points and five rebounds. Coming into tonight, Washington was averaging 20.5 points a game and 10.8 rebounds over the last four games. Hagans responded after a six-turnover half by not committing one in the second. Kentucky had nine players score while shooting 21-27 from the free throw line. Kentucky outrebounded the Gamecocks 50 to 29 including 21 offensive rebounds. Kentucky returns to action Saturday with a rematch against Mississippi State in Starkville. Kentucky beat the Bulldogs 76-55 in Rupp on January 22nd. The tip is scheduled for 1:00 p.m.